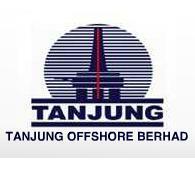 KUCHING: Tanjung Offshore Bhd’s (Tanjung Offshore) vessel earning is likely to be affected by negative contribution from its other divisions. OSK Research Sdn Bhd (OSK Research) in its report said although the vessel division was still the pillar of its business, its contribution was expected to be eroded by the company’s other divisions, especially its process equipment division, Citech Energy Recovery System UK Ltd (Citech). “Citech was supposed to have broken even by now but we gather that it is still in the red due to sluggish business activities amid the slowdown in the global economy, coupled with some potential provisions that need to be made to reflect the true value of the division,” OSK Research noted in the report. Hence, the research house downgraded Tanjung Offshore’s financial year 2011 (FY11) to FY12 earnings by 24 per cent to 52 per cent respectively to reflect the group’s potential loss in earnings. To recap, last Friday, Tanjung Offshore announced that its 100 per cent-owned subsidiary, Tanjung Offshore Services Sdn Bhd, was awarded a contract by Petronas Carigali Sdn Bhd (Petronas Carigali) for the provision of three offshore support vessel (OSVs) for a total charter contract of up to two primary years, valued at approximately RM27 million. OSK Research noted that in July 2011, Tanjung Offshore was awarded three OSV contracts worth a total of RM50 million from Petronas Carigali for a total charter contract of between one and three years. The research house saw the continuing dishing out of contracts by Petronas as positive for the company as Petronas’ contracts already made up about 38 per cent of the company’s 16 contracts for its 16-vessel fleet. Hence, OSK Research suggested that this division would continue to lead Tanjung Offshore’s earnings going forward. OSK Research downgraded its fair value for the stock to RM0.53 per share from the previous RM0.70 per share, based on the existing price earnings ratio of 12 times FY12 earnings per share, following its FY12 earnings downgrade.